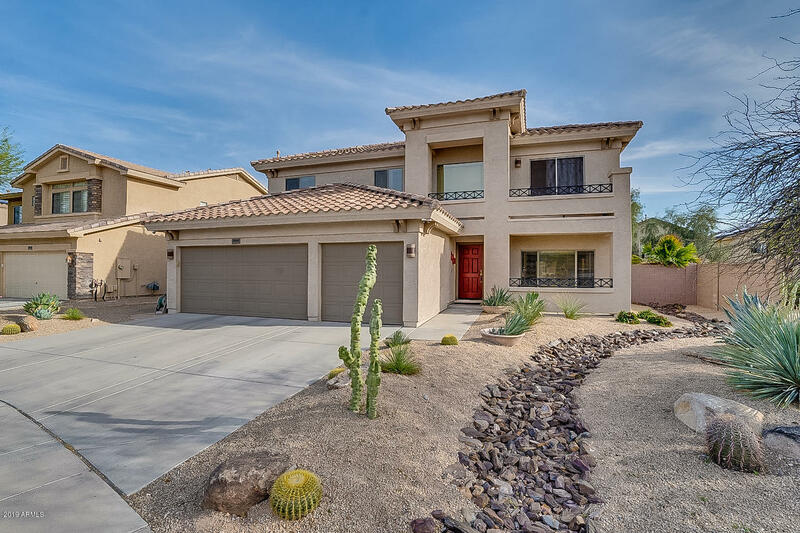 All Amber Hills homes currently listed for sale in Phoenix as of 04/20/2019 are shown below. You can change the search criteria at any time by pressing the 'Change Search' button below. 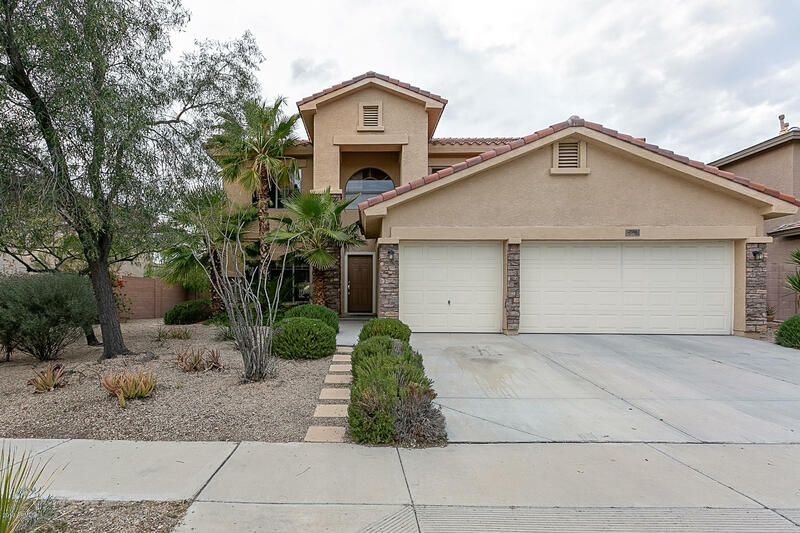 "***HIGHLY DESIRABLE GATED COMMUNITY OF AMBER HILLS*** This spacious 5 bedroom, 3 bath home has it all! Island kitchen with granite counter tops, upgraded back-splash and lots of cabinet space with great eat-in area opens to large family room with 3-way gas fireplace * Formal dining/living areas for entertaining * 3-CAR GARAGE w/cabinets * RV Gate * 1 bed and full bath downstairs * Spacious master suite with beautiful wood floors * Master bath features huge walk-in-closet, garden tub, separate sh"
"Premium location in gated community! Lots of space bordering a green belt. Mountain views with no neighbor to the west for extra privacy. Watch the most amazing Arizona sunsets from the back yard. Over $50,000 worth of upgrades including almost $10K in NEW, matching black-stainless appliances. Natural stone and upgraded carpet throughout. Grand foyer entrance. Spacious and open, perfect for entertaining. Large kitchen with stunning granite! The Master retreat is peaceful with a luxurious stone b"
"Great home with too many upgrades to list, must see, 24X24 travertine floors and staircase, granite counter tops, large kitchen island, stainless steel appliances, double side-by-side refrigerator & freezer, 6 burner commercial gas range, upgraded light fixtures and stone faced fireplace, wood blinds, neutral two tone paint, second fireplace outside with BBQ island with seating area by custom pool with water fall, large office or game room, large backyard with RV gate, grassy play area, professi"
"Large, luxurious family home on a prime end of cul de sac lot in a gated community with fabulous mountain views. 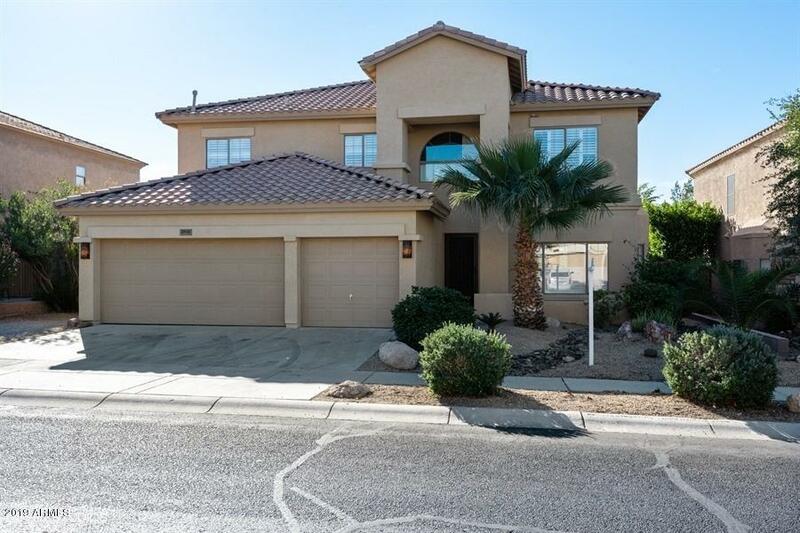 Features 6 bedrooms, 3 full baths in this 2 story open floor plan. Formal living & dining rooms in addition to eat in kitchen w/breakfast bar leading to large family room all with great pool views. Granite counters & stainless appliances add to the beauty. 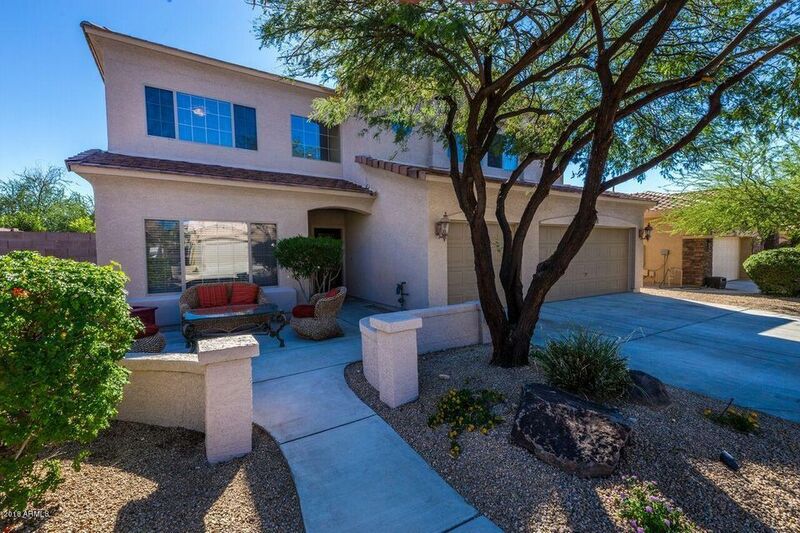 Spacious Master features dual walk in closets, separate tub and shower. Bedroom/Office downstairs with closet and full bath. 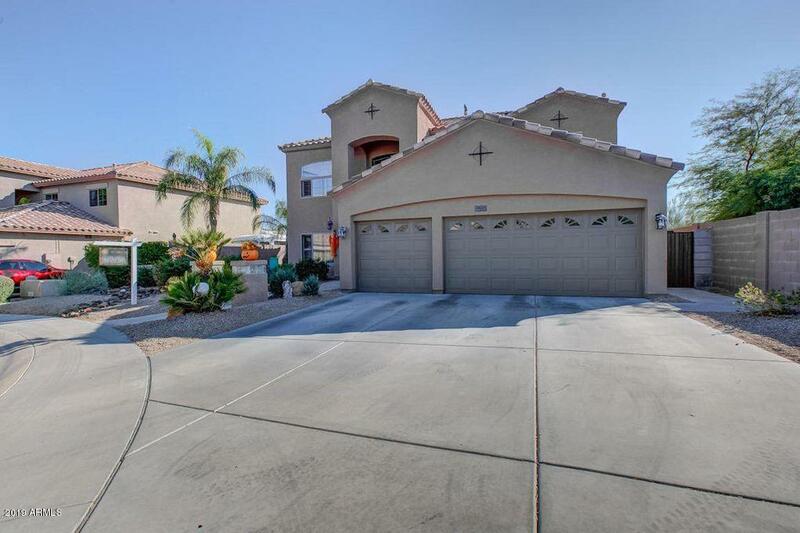 3 car"
"5 Bedroom, loft, 3 bath well-maintained, freshly painted home in the gated Amber Hills community. Mountain views from this north/south facing home. 3-car garage, wired for surround sound. One bedroom (10'x10') and full bath downstairs, master upstairs. 3 gas fireplaces: formal living room, 3-way fireplace in kitchen and family room and 3-way fireplace in master bath. Kitchen features stainless appliances with smooth top electric range. Master bath offers separate soaking tub and walk-in sho"